So I watch TED talks fairly often and there was one that came out fairly recently about 4D printing. If you’re wondering how you can print in the 4th dimension (time), I would ask what if you considered self-assembling materials? 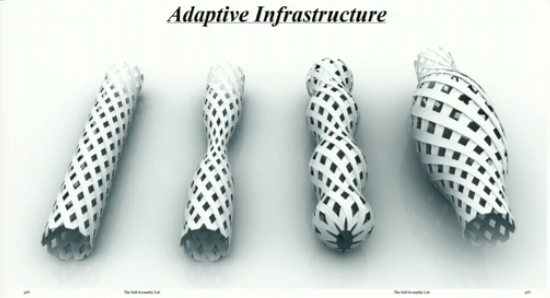 Think of the ability to print out materials that are able to independently shape themselves and self-assemble over time. There is a huge market for such a technology. This article is a few weeks old (http://www.bbc.co.uk/news/technology-21603323), but I’ve recently decided/had time to write about it. It’s a fantastic new piece of equipment that is a new type of touch screen computer interface. This invention is call space top; however it has something that traditional touch screens lack; the ability to touch things on the screen. That’s correct folks you can moving things around the screen by “physically” grabbing them. 2) Worthlessness with be graded on the scope of the villainy and how ineffectual the actually villain is, and character concept. So let’s talk about light this week. Light and science fiction of course! Welcome to the first week of this online magazine-like publication. Beyond Infinity will be written about whatever Sci-Fi, fantasy, scientific innovation or discovery I find interesting this week. If any of the readers wish to add a topic, feel free to email the site and suggest one. I hear that the beginning is a good place to start so let me open with the creation of modern technology and how our beloved science fiction had an impact on its development.